Dragonfly Designs is a Grey-Bruce area company offering custom web design solutions, mobile friendly sites and personalized service. “It has been a pleasure working with Carey and Cathy at Dragonfly Designs. Professional, creative, caring are just a few of the adjectives that come to mind. They were willing to go the “extra mile” both literally and symbolically. Our journey began with an informative joint presentation to our Board, in Chesley, in January, and in the midst of a “road closing” snowstorm. Several weeks ago we “launched” our new web site with feedback comments ranging from– impressive to talented to who helped you do this? Our Project Lead has consistently referenced their talent, energy, and helpfulness from inception to completion. Thank you for your help and “extra miles”. Do you need help with Plumbing, Heating or Air Conditioning? Just call Cook's! 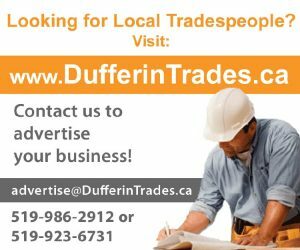 They are the GreyBruceTrades.ca feature business of the week.